Last month, Oppo officially commenced its push into Europe with its arrival in France, Italy, The Netherlands, and Spain. 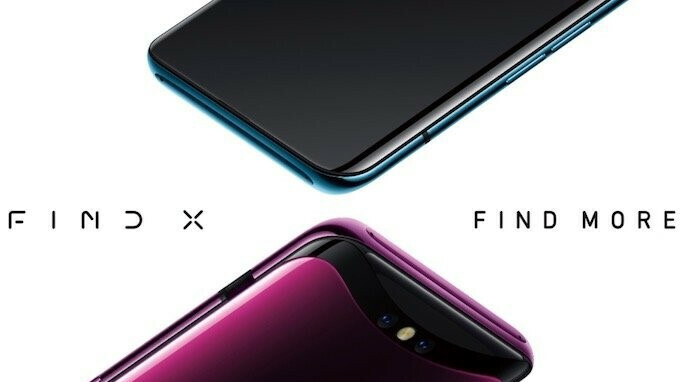 At the time, only the flagship Find X was confirmed to go on sale, although the device was later joined by the Oppo A3 and R15 Pro. However, it appears the Chinese brand has even bigger plans for the continent. At both the Intellectual Property Office in the UK and the EUIPO in the European Union, Oppo has registered a total of 40 new smartphone models which belong to 6 smartphone lines: Oppo A, Oppo AX, Oppo FX, Oppo R, Oppo RX, and Oppo UX. The majority of the names registered have never been used before and relate to devices that are yet to be announced, although when the sheer number of models is taking into consideration, it appears Oppo’s has simply registered various future generations in a bid to continue its branding strategy across the continent and the UK. Speaking of which, since filing its trademarks in the country, the company has confirmed that it will be bringing its smartphones to the UK, although it’s yet to confirm when. Additionally, it’s unclear which exact smartphones will be sold, although the Oppo A3, R15 Pro, and Find X seem like the most likely candidates considering their availability elsewhere. Overall, the trademark applications suggest Oppo has plans to release smartphones covering all pricing brackets, a move that would allow it to compete directly against the likes of Samsung. After all, unlike most other Chinese brands such as rival Xiaomi, which itself has seen huge success in Europe, Oppo favors higher price tags with bigger profit margins.